The media search party for U.S. Rep. Steve Stockman can rest easy. The Friendswood Republican released a statement on his campaign website Monday saying he'd been on a 10-day congressional delegation trip to Egypt, Israel and Russia. 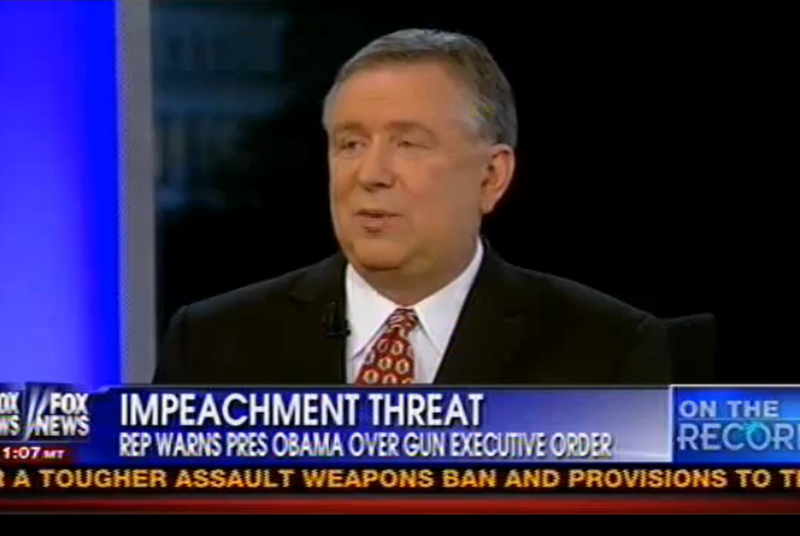 WASHINGTON – The media search party for U.S. Rep. Steve Stockman can now rest easy. After weeks of speculation and unanswered phone calls, U.S. Sen. John Cornyn's GOP primary opponent released a statement on his campaign website saying he'd been on a 10-day congressional delegation trip to Egypt, Israel and Russia. Though questions about Stockman's whereabouts had been roundly ignored for weeks, the Friendswood Republican suggested the media was fully briefed on his plans. Since announcing he would challenge Cornyn for his Senate seat in December, Stockman's campaign sightings in Texas total one. He failed to appear before the NE Tarrant Tea Party on Jan. 13 — surrogates cited traffic problems — but showed up the next day before a smaller crowd at a North Dallas church. Stockman’s attendance at his day job — in Congress — is also spotty. He did not vote on several major House measures this month, including the omnibus federal spending bill that he promised on Twitter to vote against. In the last month, he missed more than two-thirds of possible House votes, according to GovTrack, a congressional bill-tracking service. Even though Stockman hasn't been visible, @StockmanSenate, his Twitter account, has remained active and aggressive. Stockman told the conservative news site Breitbart.com on Sunday that the delegation participated in meetings in Russia on security involving the upcoming Olympic Games in Sochi. He told the news site that the delegation had been scheduled to meet with Russian President Vladimir Putin but that Putin had to cancel. The delegation had also hoped to meet with NSA leaker Edward Snowden, who lives in Russia, but did not have time, he said. Stockman is expected to attend Tuesday’s State of the Union address with Chad Henderson, a student at Chattanooga State Technical Community College who made headlines last fall by falsely claiming he had signed up for health insurance through the federal marketplace. *A previous version of this story said Chad Henderson attended Chattanooga State University. He attended Chattanooga State Technical Community College.